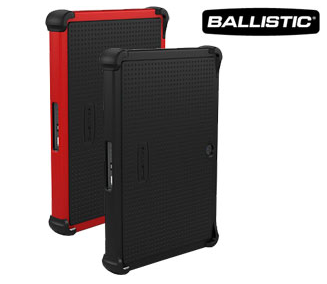 I have yet to find the perfect case for my BlackBerry PlayBook and I've settled for simple black and red sleeve to enclose my PlayBook whilst on the move. 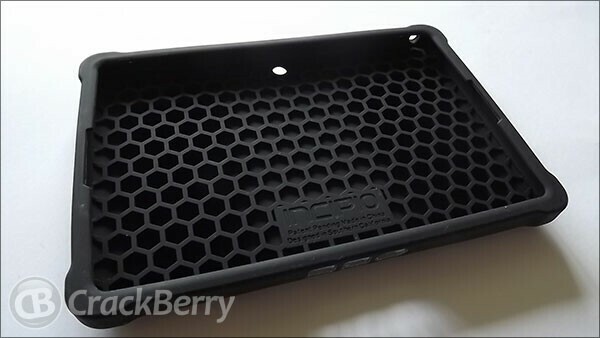 A current contender in replacing the black and red sleeve case for my PlayBook is the Incipio Hive Honeycomb dermaSHOT Silicone Case. Follow me after the break to find out whether it is a worthy contender in becoming my full-time PlayBook case. 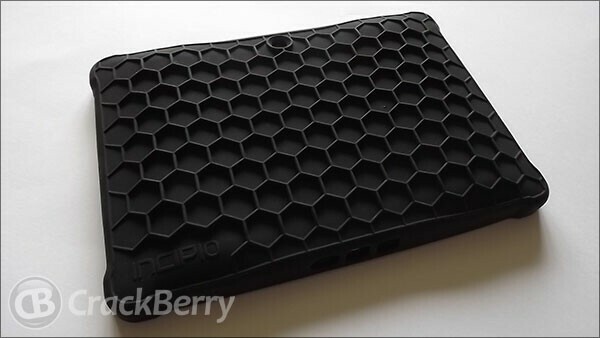 The first thing to notice with the Honeycomb case are the honeycomb-shaped ridges that gives it its so called name. 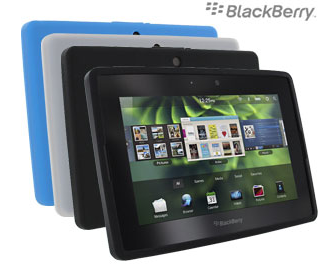 The ridges allow you to get a firm grip on your PlayBook without the fear that you could slip out of your fingers. If you're that clumsy (like I am), then you can take solace in the fact that your PlayBook will be safe. 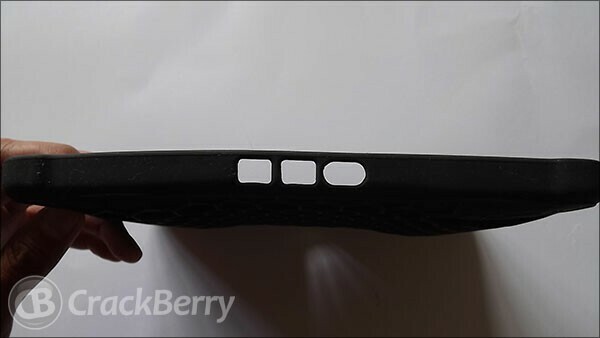 It has extra cushiony corners that will absorb the impact on a hard surface. The case itself is made from high density silicone and you'll from the photos that it has extra bulk added to the corners of the case to protect the areas most vulnerable when dropped. 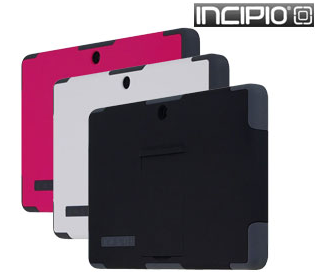 Incipio boasts that the case has anti-static coating so it won't get sticky or pick up lint. Having used it for a while I can vouch for it not getting sticky however when carrying it in my travel bag it did pick up a little bit of lint. When I travel, depending on what bag I use, it goes in with my other gadgets and stuff and whenever I pull it out to use I always have to dust it off a bit before I use it. It isn't annoying as far as being a deal-breaker though. 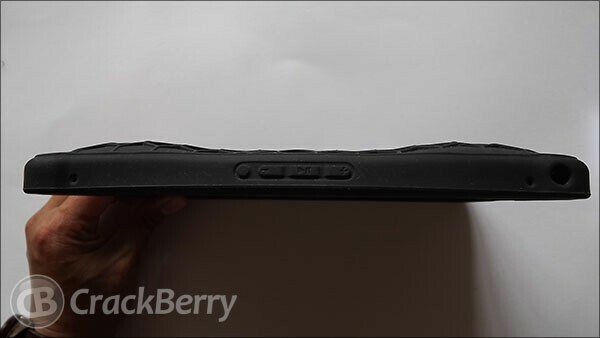 At the back, there are raised 'bumps' in place where your hands would stay, this gives it a nice ergonomic feel. Overall it is a pretty solid case. It's certainly a case I've used longer than any other on my PlayBook so it does look good in my book. It doesn't add too much weight to the PlayBook which is always a good thing. The case comes in two colors - black and red, however, the red looked a little too bright for me. "Hard shell but has a silicone core to cushion your PlayBook"
"Cheaper alternative that also doesn't add too much bulk"
"Go the full monty with the three layer protection"